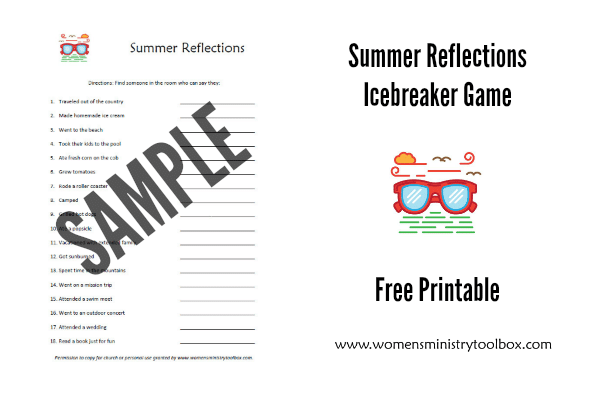 This Summer Reflections icebreaker is a fun and quick way for your women to make connections with one another. 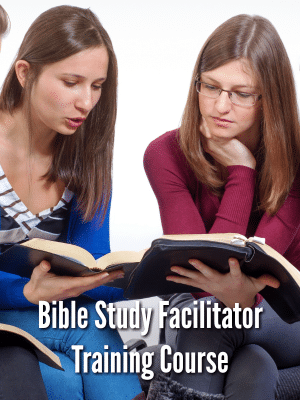 I created this new icebreaker game for our first day of Bible study. I can’t wait to play it with our women! I hope your group enjoys it too! 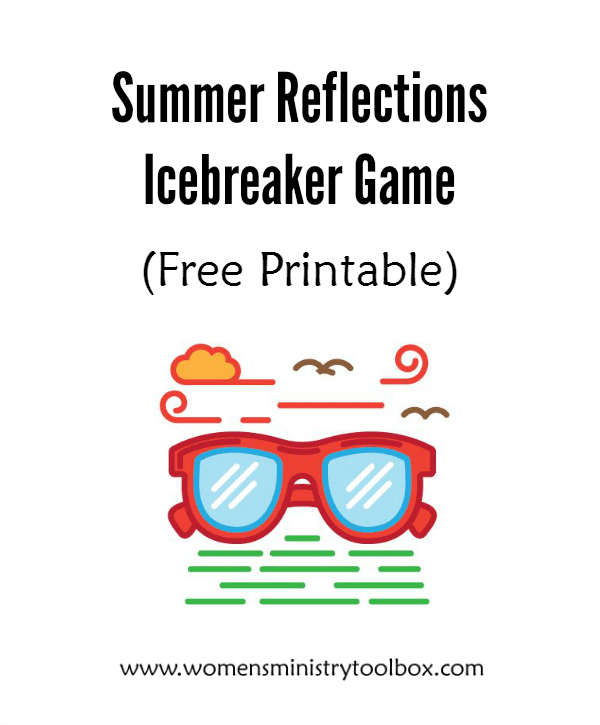 Supplies: One copy of Summer Reflections icebreaker game per person; 1 pen/pencil per person; clock/timer. 1.Distribute one handout (face down if possible) to each person in the room. 2. Say: Ladies, summer may be over, but we can still reflect on the memories made and the fun shared. We’re going to spend a few minutes discovering what each of you did this past summer. When I say “Go!” you’ll need to move around the room looking for women who fit the descriptions on your sheet. You may only have each woman sign your sheet _____ time(s). For groups of 8-15 allow for no more than 3 signatures of the same person per sheet. For groups of 15-40 allow for no more than 2 signatures of the same person per sheet. 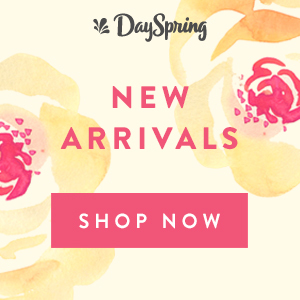 For groups of 40+ only allow no more than 1 signature of the same person per sheet. 3. Game ends at a designated time (i.e. 10 minutes) OR when the first person has completely (and correctly) filled their paper. Winner: The first person to correctly collect all needed signatures OR the person with the most signatures when time is called. Notes: This game is great for bonding group members that may not know each other very well. Seemingly random information can offer points of connection. Make sure your group has name tags on. Expect your group to get loud. Limiting the number of signatures a person can put on another’s paper forces them to interact with more people. 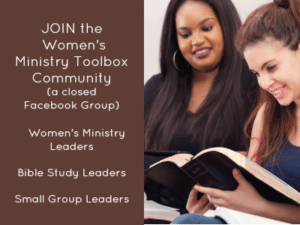 If you have time consider reading the list out loud having every women stand (or have everybody raise their hand if mobility is an issue for your group) if they did that activity over the summer. 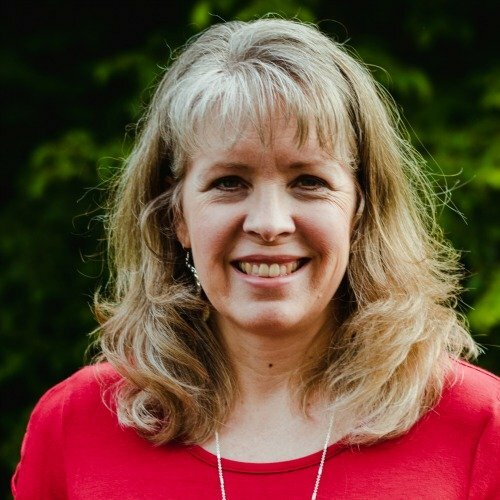 One year ago: Who is God asking your women to adopt? Thanks for the Ice Breaker. It saved me a lot of time creating one!